While we’re on the subject of noses, let’s talk about sawfish. Sawfish are elasmobranchs, the group of animals that includes sharks, rays and skates. While sawfishes appear “shark-like”, with their elongated bodies and tall dorsal fins, they are actually a type of ray. Sawfish are characterized by a long extended snout, or rostrum, edged in sharp tooth-like structures that are actually modified dermal denticles (the scale-like structures that cover the skin of sharks and rays). There are seven living species of sawfish, and none have been well-studied. All sawfish species are considered critically endangered by the IUCN, and six are listed on CITES Appendix I (Pristis microdon, the species studied here, is listed on Appendix II). Sawfish are hunted for their saws which are sold as souvenirs, and for their fins, which are used for shark fin soup, and additional animals die when their saws become tangled in fishing nets intended for other species. The function(s) of the sawfish snout has long been unclear. It’s been presumed that the rostrum is used for finding prey, either by using it to detect the weak electrical signal all fish emit, or possibly by actually using the saw to rummage through a sandy or muddy bottom to dislodge prey. 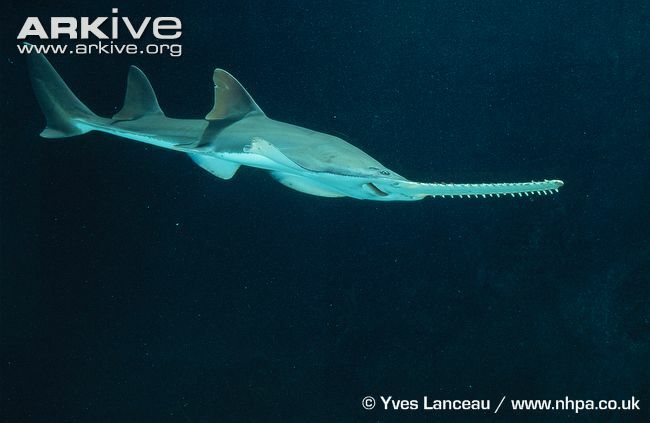 It has also been assumed that sawfish use the saw to attack swimming prey, much the way billfish such as swordfish use their sword to stun prey. There exists little actual data on the use of the snout for these functions, however, and they have not been scientifically tested. In a short correspondence by Wueringer et al, these ideas are put to the test - using recently captured Pristis microdon, the freshwater sawfish - with some positive and negative results. Most dramatically, sawfish DO use their saw to strike swimming prey, they slice and dice them right in water column! The authors include a couple of amazing videos in their Supplemental Information, and the article is open access, so you can watch these at the link australian online pokies below. Sawfish also use the saw to trap fish against the ground, immobilizing them and positioning them to be eaten. The researchers tested the ability of sawfish to detect electrical fields, such as those emitted by fish and other food sources. When electric dipoles, sources of a weak electrical charge, were placed in the tank, the sawfish oriented towards the dipole hanging in the water. What does the sawfish do with the dipole? First he detects its charge….it is a fish? Then he whacks it with his saw! He’s treating the dipole as though it were the swimming fish he believes it represents. The sawfish were never seen using their sensitive saws as digging tools, to root around for prey in the sandy bottom, but they did occasionally scrape the toothed edges of their saws against the bottom, perhaps sharpening them for their next victim. The article is Wueringer, BE, Squire, L, Kajiura, SM, Hart, NS and Collin, SP. (2012) The function of the sawfish's saw. Current Biology, 22:R150-R151.